You can totally wash these in a washing machine. Just put them in a mesh bag. A couple coat hangers are prefect for hanging ironing boards. Save on dryer sheets and be good to the environment with this reusable alternative. For deep cabinets, use a shelf or phone book to create tiered storage so everything is visible. Use socks instead of expensive pads for your Swiffer. Use a paper towel holder for a slick bracelet display. Spices can be stored cleverly underneath your cabinet with a magnetic strip. Just use a CD organizer to store those bathroom essentials. It works great! 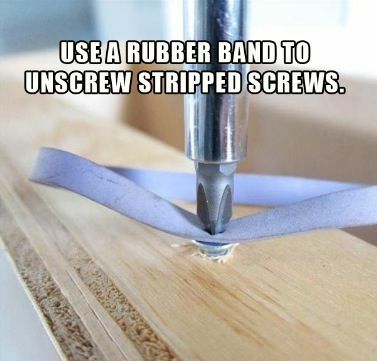 This trick will help you unscrew even the toughest screws. 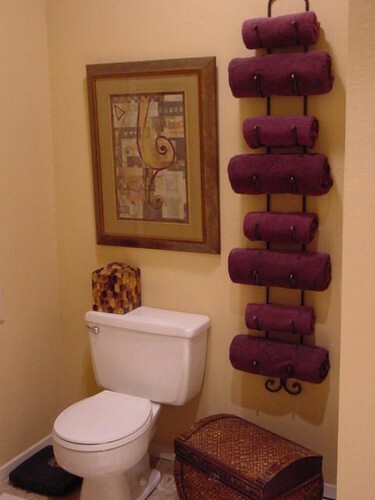 Use wine racks for elegant towel holders.